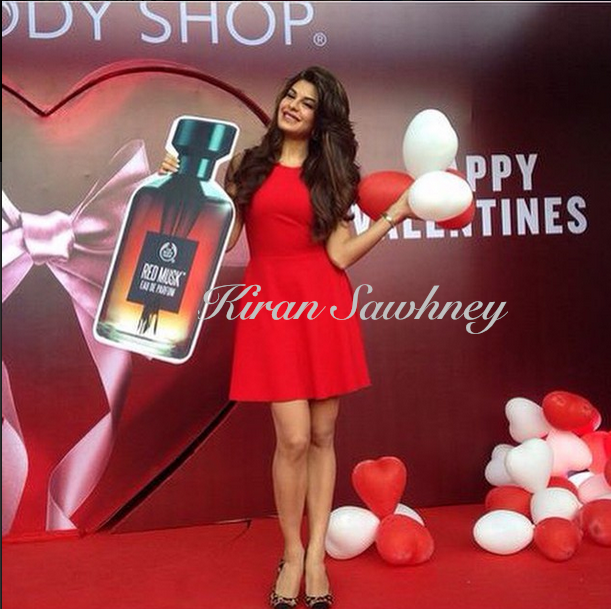 Jacqueline was at the opening of the Body shop store at Palladium Mall, Mumbai. She wore red Neha Taneja dress and Dune shoes. What do you think of this look?